No bump with Lux in carrara shaders? Is there a way to change it so that lux will use the option? There are some things that need to have a changeable amount for the bump. This may not be the same problem you're experiencing, but with Reality 2 and Lux anytime a bump or tans map was saved as RGB instead of gray-scale, I would get the same message as you are, Opening the image and re-saving as a true gray-scale image would fix the problem. 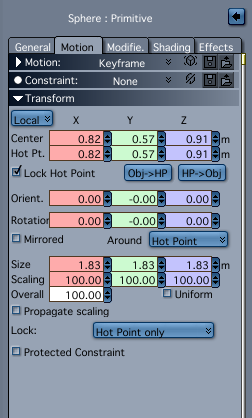 Luxrender is in meters, so making sure the scale is correct makes sense...in DS, the default is cm. What is Carrara in, inches? It's user defined. Carrara has diffferent scene magnitudes. A small scene will be measured in inches or centimeters (depending on preferences), a medium scene will be measured in feet or meters, and a large scene will be measured in hundreds of feet or hundreds of meters. 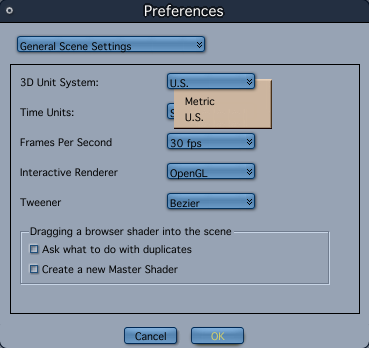 The wizard screen that appears when creating a new scene does default to inches and feet when describing the scene scale, but once in the scene, they display as metrics if that is how you set your preferences. It's been way too long since I've used/played with Carrara...the most recent was the Open Beta, a couple years back...so that's the last look I've had.